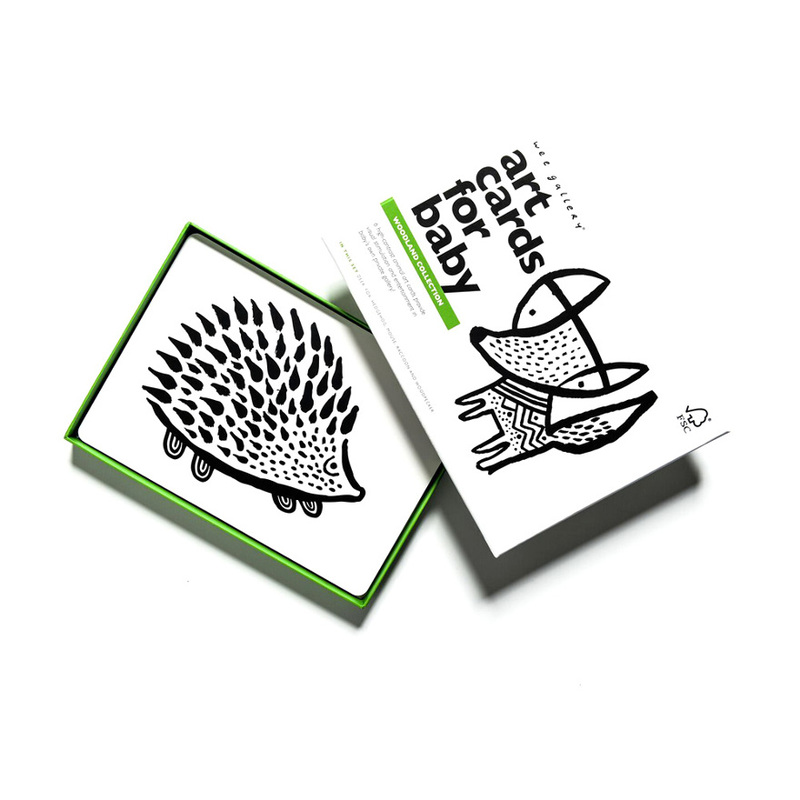 Wee Gallery art cards are created from bold, whimsical, hand-painted originals that cater to a baby’s visual strengths. As young babies vision is still developing, high-contrasting colours are more appealing to their senses. 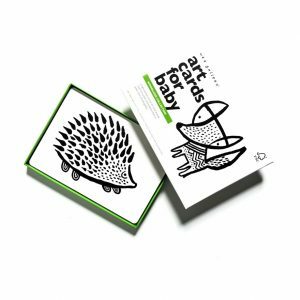 Whimsical animals made up of black and white repeating shapes entertain and engage your little one, transforming them into her own wee gallery! 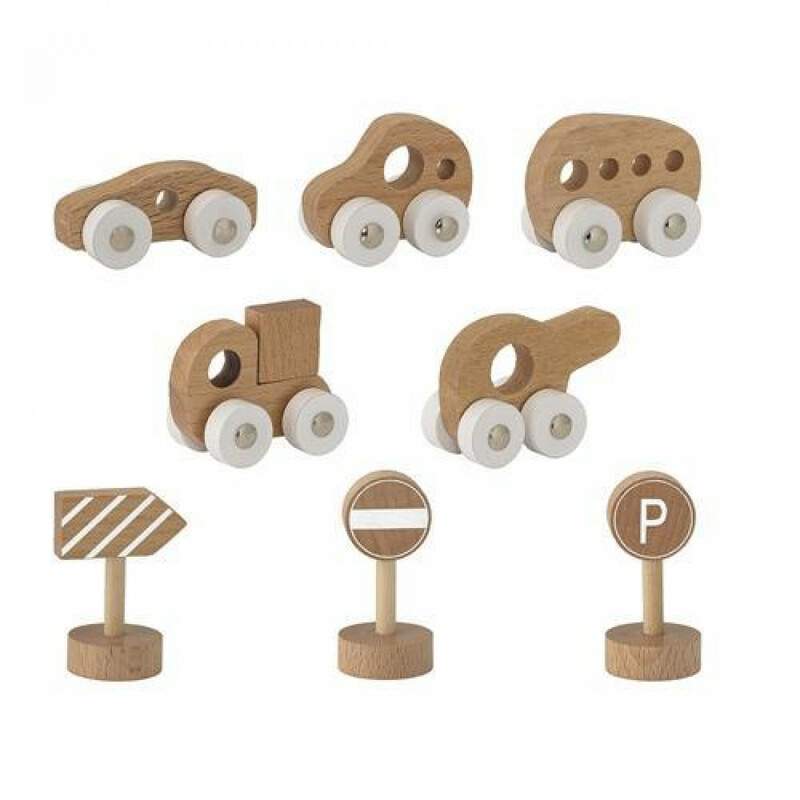 Place them in the crib to transform it into a wee gallery or use them as flash cards for older children. 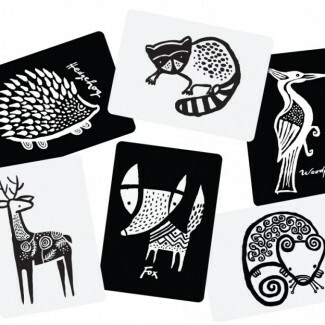 The six adorable animals in this set include a fox, hedgehog, raccoon, deer, rat, and woodpecker. 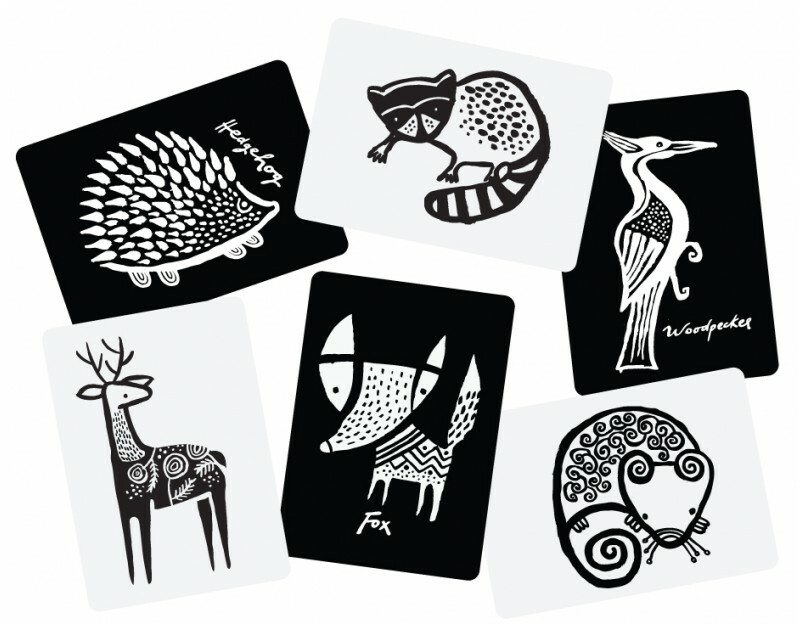 Each card measures 5 inches by 7 inches and is printed using environmentally-friendly ink on sturdy cardboard with rounded corners. 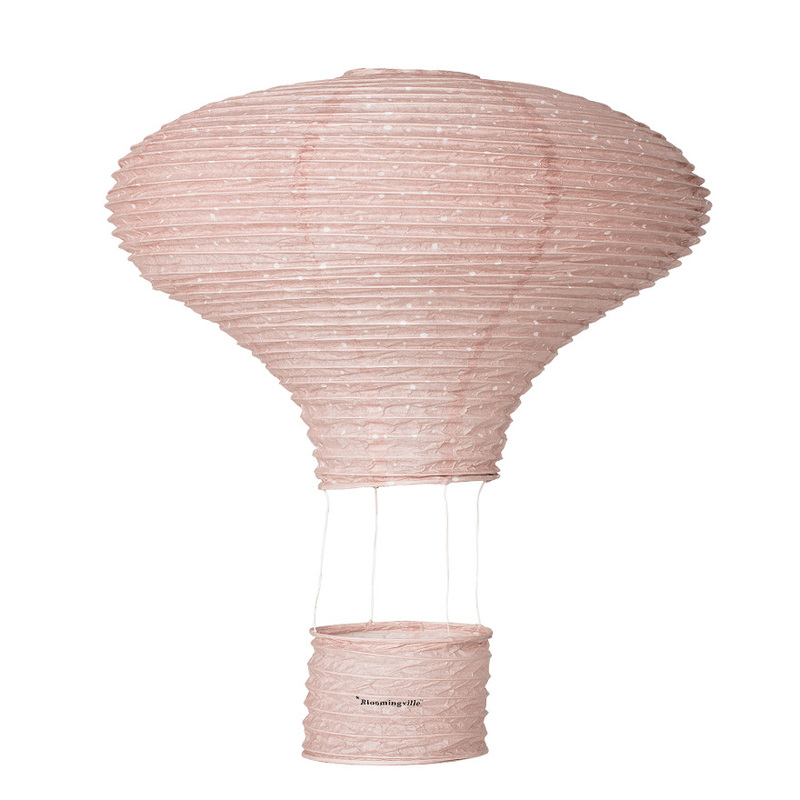 They are the perfect way to start teaching a love for art and design.